Here at i-escape we pride ourselves on discovering the hard to find and reaching the hard to access. 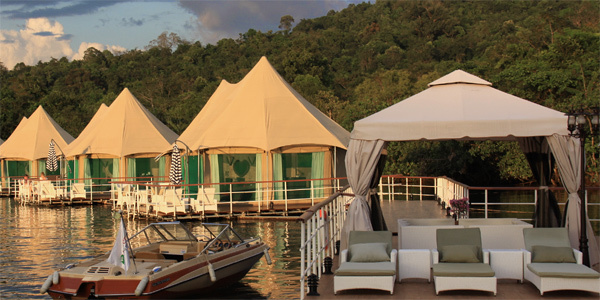 However, rarely are they quite as secluded as this 12-tent lodge, which floats on the crook of southwest Cambodia’s Tatai River. The isolation is part of the magic. 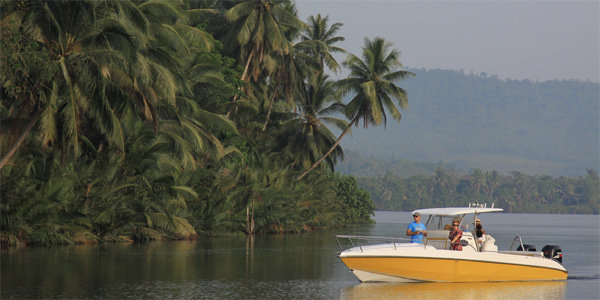 with nothing but wild rainforest, waterfalls and the meandering river to keep you occupied. After a 20-minute boat ride (the only way to access the lodge), guests alight onto the central terrace, surrounded by the green of the rainforest and the glass-like calm of the largest freshwater pool in the world. From here on, kayaks are the main form of transportation, and you can use them to explore the mangroves and spot the wonderful abundance of wildlife in the area. 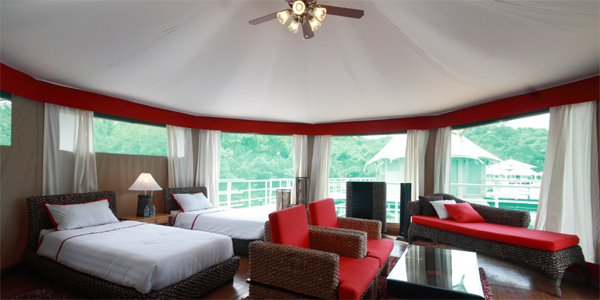 Rooms: The 12 luxury tents arch out in 2 flanks from the central restaurant and communal area. 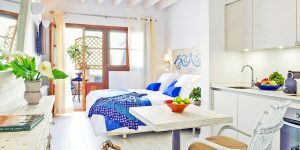 They’re far from simplistic: an elegant rattan bed, wardrobe, chaise longue and other furniture all fit into the spacious, circular rooms, which are nicely designed and equipped with rain showers and wooden tub-style baths. There’s even a flat-screen TV and DVD player for lazy days. The main attraction, however, lies beyond the tent walls (which you can roll up for panoramic views) – a, private deck with lounge beds and a ladder down into the clear waters of the river below. Food: Since the 800 sq.m resort is floating, dining options are unsurprisingly limited. However, the restaurant offers a fantastically fresh menu which changes daily to protect guests from boredom. 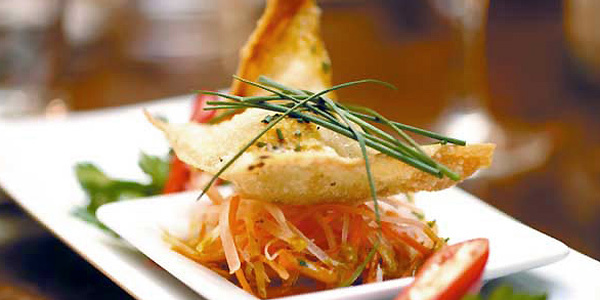 Most of the dishes are international or provide a twist on Cambodian favourites, with snacks available all day. For lunch we enjoyed green mango salad and fresh shrimp, eggplant piccata with tomato-sauce pasta, and green-bean soup with coconut milk; for dinner, we tucked into more substantial dishes like banana-flower salad with chicken, followed by chicken, beef or fish curry with rice. Alternatively, you can spend the day fishing with locals and catch a snapper to bring back for the staff to cook up for you. Top Tip: This resort is best for couples who are happy wallow in seclusion and commune with everything nature has to offer, away from outside civilisation.